Foamcore and duct tape replica of the actual restrooms and fountain at the Indianapolis Museum of Art which read “Contemporary Art, Look At It, Listen To It, Think About It, but Please Do Not Touch It”. 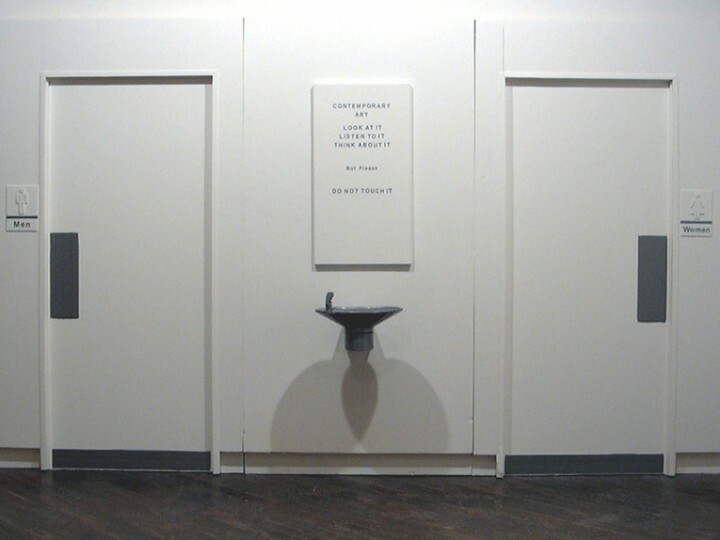 Ironically the piece which reminds visitors not to touch contemporary art became a trompe l’oeil for visitors of the exhibition who attempted to walk into the restrooms and even drink from the fountain. Fountain is the first work of art that I made after graduating with my BA from the Herron School of Art.